Come out and celebrate more than 20 years of holiday lights at Adventureland! Bundle up the family and enjoy a 2.5 mile ride through more than 100 magical light displays. 100% of admission fees go directly to Make-A-Wish® Iowa! Jolly Holiday Lights is a drive-through holiday light display that is annually set up by Make-A-Wish Iowa at Adventureland. Since it began in 1995, the event has raised enough money to grant more than 800 wishes to Iowa kids! $40 per limo/minibus: pricing is for vehicles with a capacity of 25 passengers or less. $70 per chartered bus: pricing is for vehicles with a capacity of more than 25 passengers. 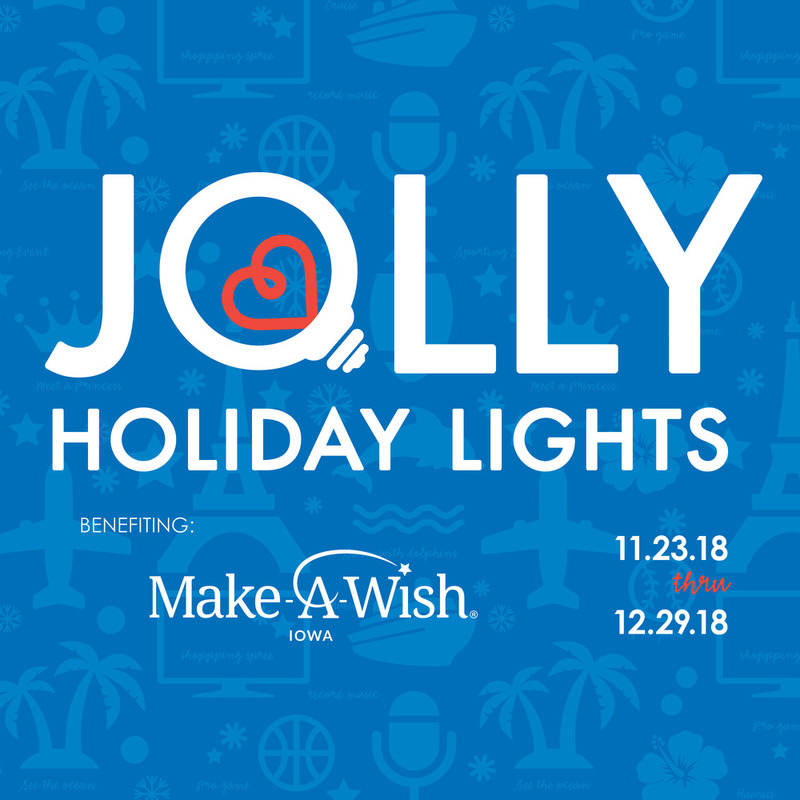 Your ticket is good for entry on any one day of Jolly Holiday Lights 11/23/18 - 12/29/18. Hours: 5:30 p.m. - 10:00 p.m. Jolly Holiday Lights will be closed December 24 - 25.